WeLoveBigBrother.com was selected by CBS to be one of the few media outlets represented during the annual media in-house day which took place Friday, June 19, 2009. For the past couple of seasons, a select few have been able to live the experience of a Big Brother houseguest for twelve hours. We can now say that so far, Katie Neal from WeLoveBigBrother.com is one of only 12 people who has ever lived in the Big Brother 11 house. These members of the press lived the life of a full-fledged houseguest by competing in challenges and even going through the nomination and eviction processes. Below you will see WeLoveBigBrother.com correspondent Katie Neals account of her experience in the Big Brother 11 house. Plus, weve got plenty of details about the new house and possible twist ideas. 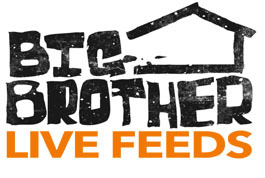 If you enjoy watching and reading about Katies experience in the Big Brother 11 house, consider supporting WeLoveBigBrother.com by signing up for the live feeds. Sign up before July 9th and pay only $29.99 for the entire BB11 season. The price goes up to $39.99 the night of the premiere. One more thing before we get into Katie’s experience. The picture above was recently posted on Zap2It.com. We can confirm that this picture is Julie standing in the spa / exercise room. Be sure to read about that room below! When I went into the Big Brother 11 house to represent WeLoveBigBrother.com, I was joined by eleven other journalists. They were Jen Johnson from MSN.com, Gunther from The Late Late Show with Craig Ferguson, Rosanna Tavarez from the TV Guide Network, Reagan Alexander from People.com, Dennis Luciani from National Lampoon, Melissa from CBS2 LA, Stella from CBS.com, Carrie Moten from Johnjay and Rich, Ben from BSideBlog, Ann Murray from Fancast, and Jay Schwartz. After going through security and arriving at Big Brother, all of the journalists were instructed to sit in a room together. We were not allowed to talk to each other at all during this waiting period. We met with the executive producers and they led us to the stage where Julie hosts the show. We were instructed to stand on the stairs just like the houseguests do before they enter the house. The producers ran through a list of rules and things we werent allowed to do in the house. Chewing gum and breaking house items were off limits! Allison Grodner told us that we would be able to choose a bed upon entering the Big Brother house. However, there werent enough beds for all of us because one of the rooms was locked. Allison said that since we were there for 12 hours, we didn’t all need a bed. She wouldn’t tell us why the bedroom was locked other than it was involved in the twist. Eventually, our names were drawn at random and we were allowed to enter the house four at a time. I was picked to enter the house with Gunther and two others. When we first entered the house, I noticed that the one big wall on the side had been changed. It had tons of plants and all the walls had been changed to different colors of plywood. It looked really cool. The interior decorating looked really nice. When I turned to my left, I noticed the kitchen had an oriental theme with Buddha statues and Chinese heirlooms. I remember there were plastic chopsticks and the plates were actually made out of bamboo. The plates were really thin and almost looked like paper plates. The cabinets were made out of bamboo as well. There were a lot of orange and red colors in the kitchen. It looked like the houseguests will have to grow their own spices because there were garlic and thyme plants in the kitchen. The oven, refrigerator, and all normal appliances were still present. Before entering the house, Allison Grodner informed us that the house was going green. She told us that there were two compost machines in the house. One was in the backyard and we werent allowed to use it. There was also a compost machine in the kitchen, but none of us ever really figured out how to use it. Also, the garbage cans in the kitchen had a side for paper and plastic and another side for glass. Once we became acquainted with the kitchen, we ventured down the hall to the bathroom. It had an industrial look to it. The couch was still in the corner. The bathroom had its normal setup with no major changes, other than the walls looking industrial. As far as online rumors go, there were no urinals on the wall! The shower door was clear with a little portion of foggy glass so you can’t see the midriff of anyone. There was a sliding shower curtain in the middle to split the shower in two. There was another online rumor that the sinks were had motion sensors. Jen actually thought this was the case and waved her hands under the sink, but no water came out. Then she figured out she had to turn on the handle! The exercise / spa room has two bicycles that have light bulbs next to them. When you pedal each bike, the light bulbs light up. At one point, Gunther and Jay were riding the bikes to see who could get the brightest light bulb. We joked around that it would be funny if the houseguests had to continuously ride a bike to keep the lights on. Half of the gym has the tops of bottles on the walls in interesting designs. The other side of the room is decorated with giant bubble wrap. The green recycling symbol is painted on the walls. On the other side of the house, there were two bedrooms that we were allowed in. The first was straight down the hall and had no doors to it. There were three really cool beds in there. That room was painted with reds and the headboards were really tall. Those beds looked really nice and comfortable. This first room didn’t really have a theme to it. But the other room had a swimming pool theme. The first third of the wall had wallpaper that looked like water. Above the wallpaper was a cement border that looked like the edge of a pool. The last two thirds of the wall were designed to look like the underside of a pool. So it felt like you were literally under water. There were safety ropes running along the ceiling to make it look life-like. The beds actually had giant floats on them so it looked like you were floating on water. Coming out of the wall was a slide that was complete with a ladder. There were extra sunglasses and floats around the bedroom to make it feel like you were actually at the pool. The diary room looks similar to the way it looked during Big Brother 10. There wasn’t a theme or anything to it. It is just a dark and dimly lit room with a comfortable couch to sit on. The living room still had a similar setup with two couches that were a shade of purple. There were two green nominee chairs that faced the monitor where Julie Chen talks to the houseguests. The walls were different shades of plywood. I know “plywood” doesn’t sound really nice, but it did look really cool. One strange thing I noticed was that in the living room there was a random dish of keys. At first we thought maybe there was a twist and we had to use the keys to unlock a secret room. But we ended up just making up games of hiding and searching for the keys. Back to the kitchen area, the spiral staircase is painted orange to match the kitchen theme. There are a lot of cool pictures upstairs. They were hung up high with lights shining behind them to light up the pictures. In the Head of Household balcony, there was a large comfortable couch that was sage-green. Oh, the chessboard it still there too. When we first walked in the Head of Household room, the one wall had glass over it and behind it there was an outdoors picture. So it almost looks like you’re looking out a window. So that part of the room has a recreational or outdoors theme. There was actually a big, comfortable chair in the HOH room that swiveled around. Everyone took a turn spinning around in the fun, new chair. The spy screen in the HOH room looked the same. It had a looping Big Brother 11 screensaver on it. The HOH bathroom had a big surfboard on the wall with a wetsuit attached to it. The first time the door opened to go into the backyard, I right away noticed that there was still a pool table. There was new patio furniture. The hot tub, pool, and hammock have all returned this year. The mural on the back wall was of a windmill field and looked really cool. Another online rumor is that the clothes washer has disappeared. However, there was definitely a washer there when I lived in the house. The compost machine was set off in the corner and we were told not to use it. I’m not sure how it worked, but I saw it over in the corner. Copyright 2009 by WeLoveBigBrother.com. This information may not be used elsewhere without a proper link to WeLoveBigBrother.com. Continue reading Big Brother 11 Media Day Part 2: The Competition. What do you think about the new house? Leave your comments below. WLBBs Katie Neal will be joining Bunky and Keesha on Big Brother Extra! TV live on Thursday, July 2nd at 7pm Eastern. Since Katie is one of only 12 people who have lived in the Big Brother 11 house, we thought it would be nice if the fans could ask Katie questions about the house and her experience. So tune in and give Bunky, Keesha, and Katie a call live on the air! Tune in this Thursday at 7pm Eastern, 6 Central, 5 Mountain, and 4 Pacific.